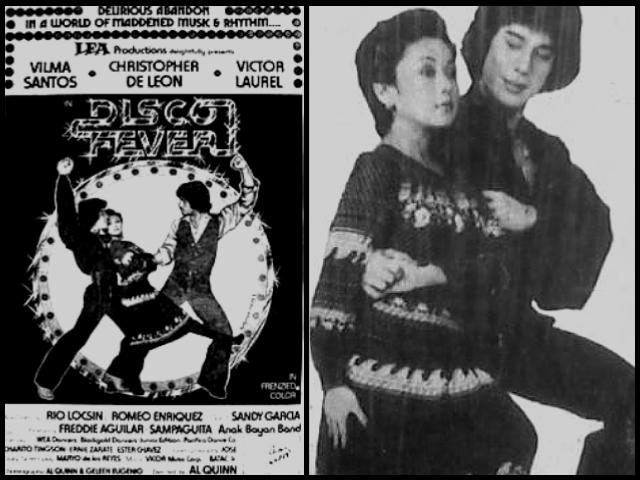 Plot Description: Love Triangle (Christopher De Leon-Vilma Santos-Cocoy Laurel) and lots of dancing! Film Achievement: One of 23 Film collaborations of Christopher and Vilma Santos. This entry was posted in Filmography, VIDEOS and tagged Al Quinn, Anak Bayan Band, Christopher de Leon, Disco Fever (1978), Filmography: Disco Fever (1978), FILMS, Freddie Aguilar, Rio Locsin, Romeo Enriquez, Sandy Garcia, Victor Laurel. Bookmark the permalink.